Our 6-10 ton mechanical compact roller is mainly used to compact asphalt pavements, and it is widely used in highway, municipal work, parking area, sports ground, and many other projects. 1. It is designed with compact structure, hydraulic vibration, hydraulic steering and hydraulic shake. 2. Seated on the ground and vibrating horizontally, its oscillatory drum can get the required compacted thickness quickly. 3. This kind of 6-10ton mechanical compact roller can protect and press places that subject to vibration. 4. Its drums are fitted with scrapers and sprinkling devices. 5. Its compacting force can reach as high as 13t. 6. The anticorrosive water spray system of this mechanical compact roller has unique nozzle design and can cover the edge of drums. World Equipment is a professional manufacturer and supplier of mechanical compact roller in China. We offer 6 ton mechanical vibratory roller and 10 ton mechanical vibratory roller for your choice. Our products have been well received by clients from Europe, South America, Middle East, Southeast Asia and Africa, and more. Over the past 10 years, we have kept improving our products to make them better adapt to the market. If you need mechanical compact roller, we will provide a competitive price for you. Don't hesitate, please contact us. Our 8-10ton mechanical compact roller is mainly used in highways, municipal work, parking areas, and some other industry grounds. 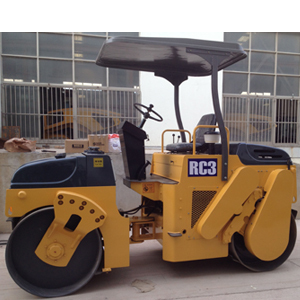 Our 3-4.5ton hydraulic vibratory roller is mainly used in highway municipal work, country road, stadium and many other different projects.